I'm currently enjoying SQUARESPACE as a platform for responsive websites, landing pages, and ecommerce. It offers full page images and videos - perfect for lush sites like SeanRushAtelier.com where there is so much detail to be enjoyed. It also integrates cleanly with Google Analytics, helping manage SEO, and with Mailchimp, which enables the easy collection of an opt-in mailing list and beautiful mailings. 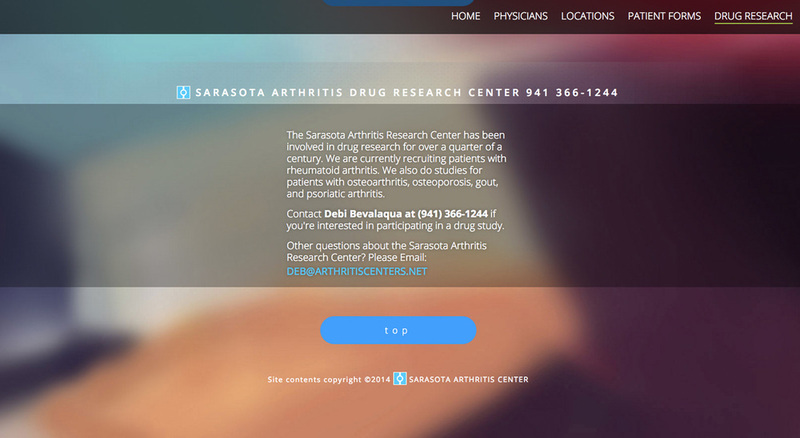 Not every client requires a complex site: the Sarasota Arthritis Center site is a simple, scrollable, one page solution. A site for the nonprofit Sarasota SCUBA Club required a front-end redesign of an existing membership management system. Web work requires constant adaptation to new tools and changing trends.